100% locally owned and operated, we would love to show you around our backyard! We offer a range of guided kayaking tours and freedom rental sea kayaking trips in the Abel Tasman National Park. Our guided kayak tours will take you along a stunning stretch of coastline for a fantastic sea kayaking experience. Enjoy panoramic views of Abel Tasman National Park, check out nesting cormorants, sea caves, islands and the world famous Split Apple Rock. 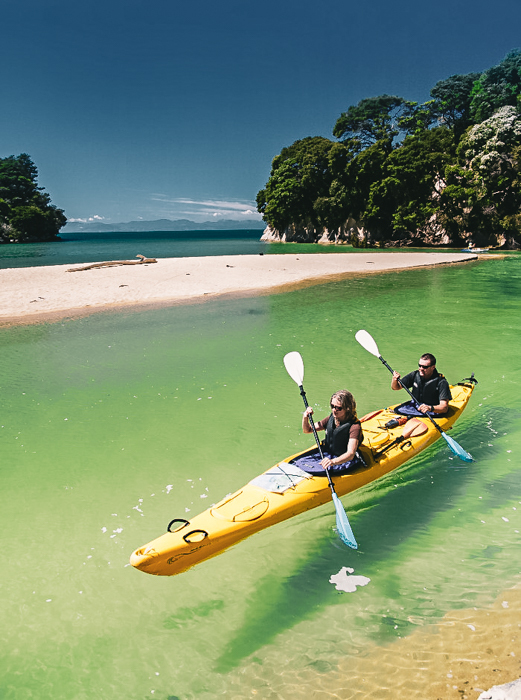 Our Abel Tasman freedom kayaking package allows you the independence to see the wonders of the coastline at your own pace with all it's spectacular views and natural spots to visit and outdoor activities. We provide full and half day guided sea kayaking tours in the Abel Tasman National Park. 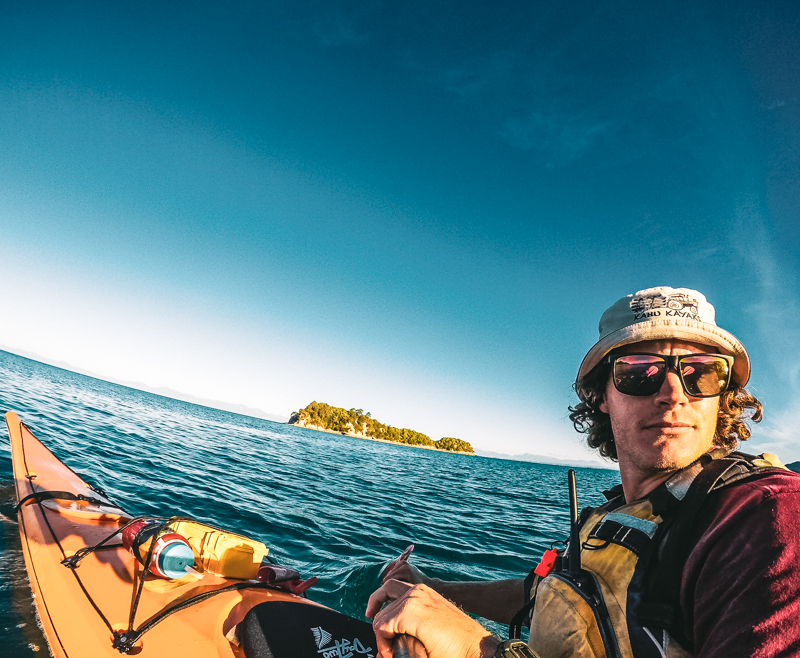 There are fantastic panoramic views, sea caves, islands, and the Tonga Island seal colony to explore along the way, along with other popular and historic attractions.Ready to book an Abel Tasman kayak tour and experience of a lifetime? Kahu Kayaks welcomes you to the Abel Tasman National Park, our golden piece of Aotearoa. We are a genuine, small kayak hire and kayak tour company, 100% locally owned and operated, with loads of experience taking guided kayak trips in the Abel Tasman. We offer a range of Abel Tasman guided kayak tours as well as 1,2 and 3 day freedom kayak tours. Our guided kayak trips will take you along a stunning stretch of coastline for a fantastic sea kayaking experience. Enjoy panoramic views of Abel Tasman National Park, check out nesting cormorants, sea caves, islands and the world famous Split Apple Rock.Our freedom sea kayaking packages allow you the independence to see the wonders of the Abel Tasman coastline at your own pace with all it's spectacular views and natural spots to visit and outdoor activities.Full and half day guided sea kayaking trips around the Abel Tasman National Park coastline. READY TO BOOK AN ABEL TASMAN KAYAK TOUR AND EXPERIENCE OF A LIFETIME? Freedom Kayak your way from Marahau to Anchorage Bay, leave your kayak and walk south back to Marahu. Freedom Kayak for two days, working your way north from our base in Marahau towards Bark Bay or Onetahuti. Swap your kayak for your pack and spend a day or two walking back. Freedom Kayak for three days up to Onetahuti, at the end of day three jump aboard our Abel Tasman water taxi service for the ride home.